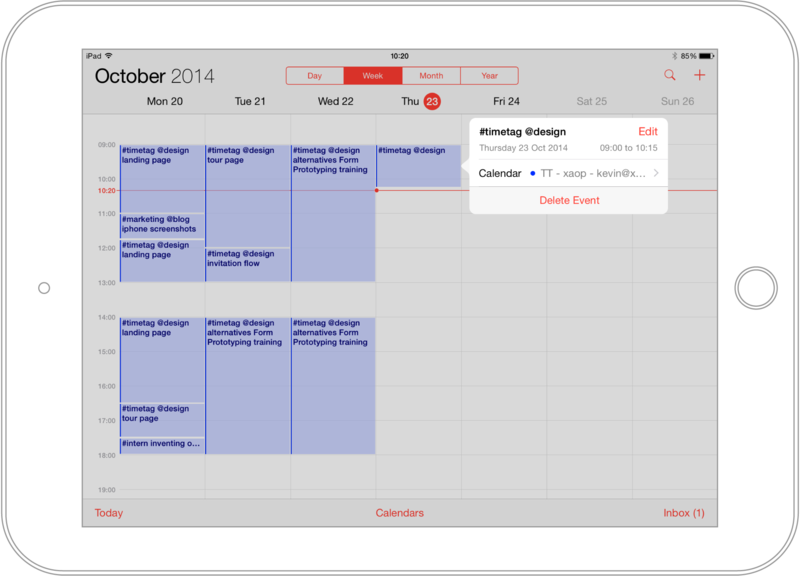 Timetag will automatically search your calendar for entries marked with # and @ symbols. This data can then be used to create detailed reports about your projects. No need to download a separate app. Use any device or calendar (that interacts with Google calendar) to start adding entries. Any entry you put in will be automatically pushed into Timetag. 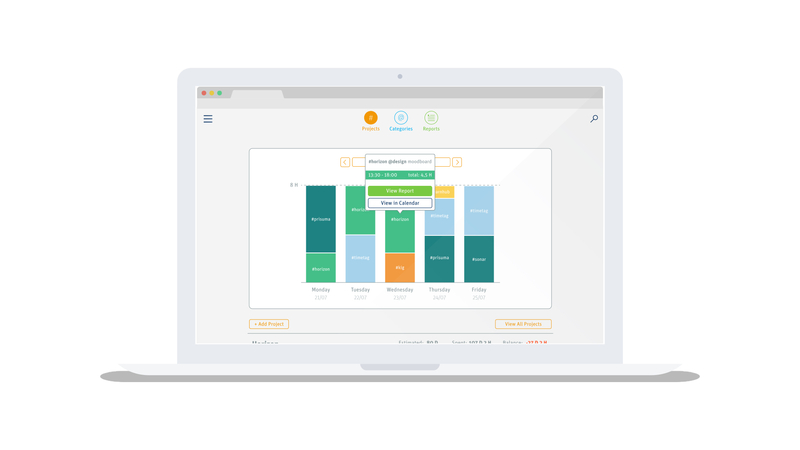 Timetag gives you a quick overview on the criteria of your choice, from comparisons of estimated time with actual time spent on a design project to insights on which employee worked the most in the marketing category. 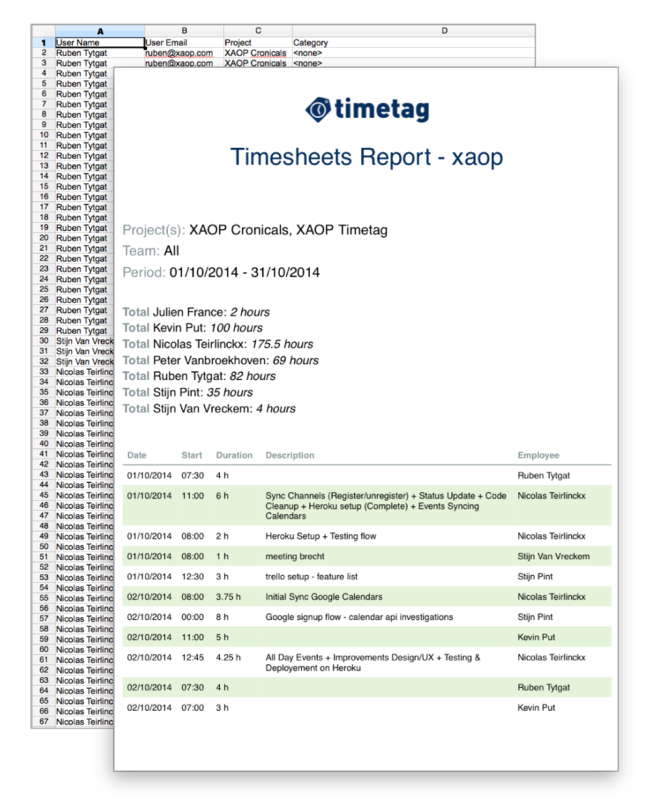 Easily build timesheet reports containing a breakdown of tasks accomplished throughout a project during a chosen time period. Use this to improve planning for future projects, create invoices for customers, or allocate costs. Since Timetag is linked with Google calendars, you'll need to sign into your account next.